Greyhound Vendors – We Adopt Greyhounds, Inc. Here is a list of vendors for a variety of different pet items! Looking to have new dog tags made? 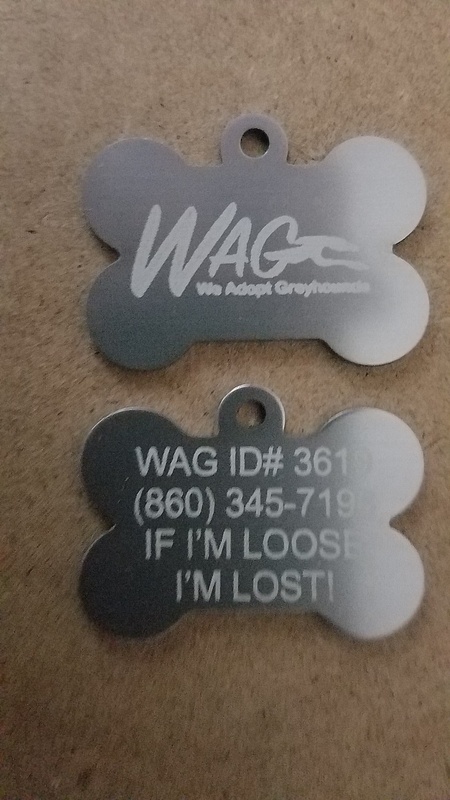 A friend of WAG’s, Dennis Selander, has offered to make them for a discounted price of $5! You can contact him at dennislaser1@ gmail.com or (203) 723-4607.